KNM Process Equipment Inc. incorporated in 2007, catering to the demand for fabricated process equipment for the oil, gas, petrochemicals and minerals processing industries in Canada and the North American region. 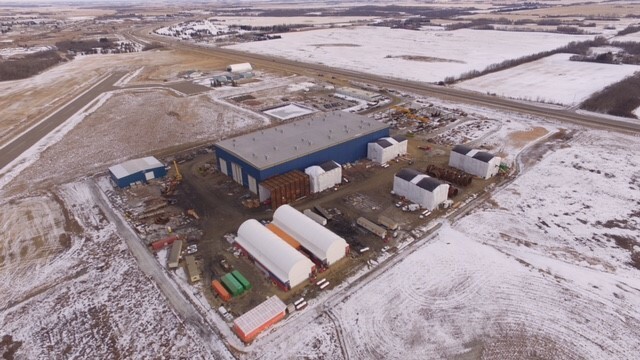 A fabrication shop was established in Tofield, Alberta (64 km south east of Edmonton), with a plant area of approximately 113 acres and a total covered shop area of 10,000 m², KNM Process Equipment Inc. has one of the largest facilities in the area for manufacturing of process equipment and modules assembly, offering significant logistical advantages for oil sands projects. The shop is located adjacent to the Highway 14 high load corridor, which is ideal for loading out large diameter, long and heavy equipment and modules. The company’s principal activities include design, engineering, procurement and manufacturing of process equipment, including pressure vessels, reactors, columns and towers, drums, heat exchangers, air cooled heat exchangers, process gas waste heat boilers and specialized shell & tube heat exchangers, condensers, spheres, process tanks, mounded bullets, process and piping modules and turnkey storage facilities.